We are now accepting registrations for our 2019 Summer Camps. For more info and registrations please see our 'camps' tab. iCreate took part in the 27th WOSP Final charity event on Sunday, Jan. 13th collecting money for hospital for sick children in Poland. 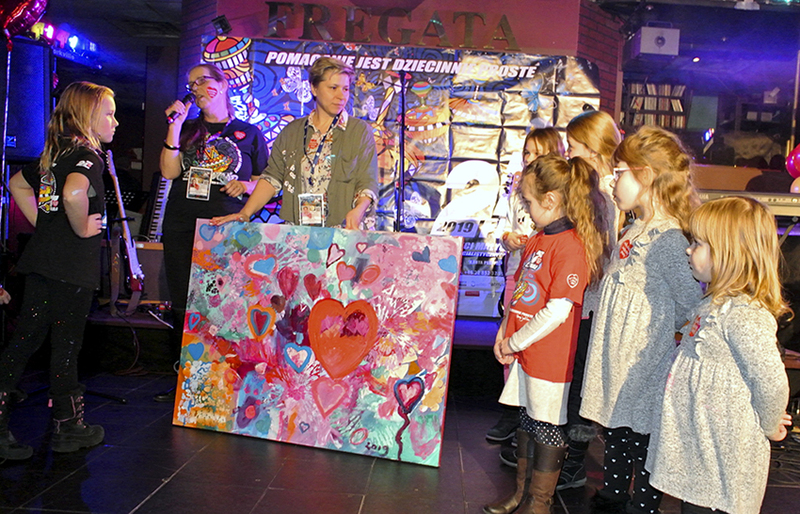 A beautiful painting created by a group of kids under Agnes's guidance fetched an incredible price of $1,110 during the auction that took place at the end of the event.